Great home in Edgemont with good potential upside (through redevelopment) in the future! Duplex style townhouse in an unbeatable, sought after location in this wonderful community! Overlooking a gorgeous, tranquil setting, this home is in a low density 8 unit complex, situated on a large 44,298 sqft property. Private, roomy 4 bdrm/2 bath end unit. Both baths newly reno’d. Kitchen opens onto entertainment size deck. Cosy living room w/gas F/P. 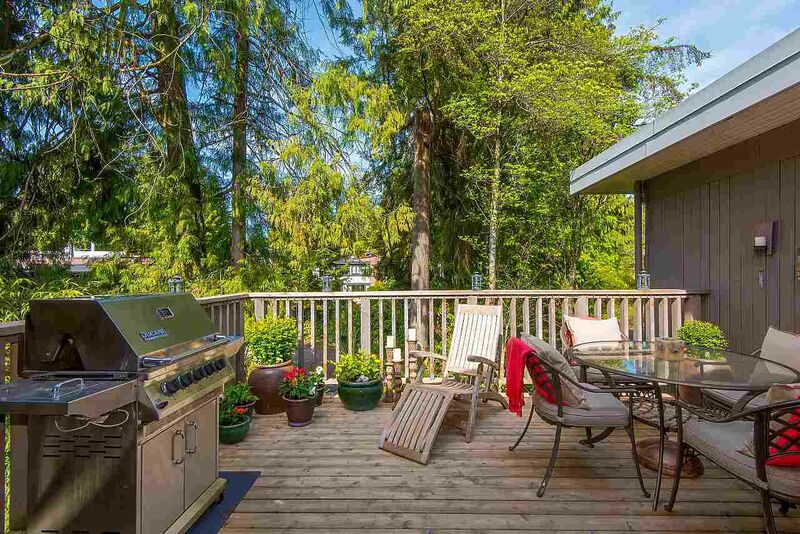 2 decks + garden patio. Lower level w/ sep entr & 2nd kitchen, perfect for students or multigenerational family. Fantastic, walkable lifestyle location. Close to top schools (Handsworth catchment). Enjoy Edgemont lifestyle while investing in a property with significant upside potential!